Note Interfaces are an excellent way of displaying images and getting user input. As images can be used for the background and buttons, Note interfaces can be made to look any way you want. Note interfaces don’t exist on their own and must be called from a zscript or zplugin button. 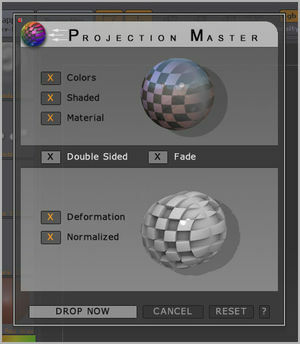 The Projection Master dialog is an example of a multiple choice Note interface; the user can press buttons any number of times without the interface disappearing. This is achieved by putting the Note interface code inside a loop with the repeat set to a high number so that it is effectively endless. 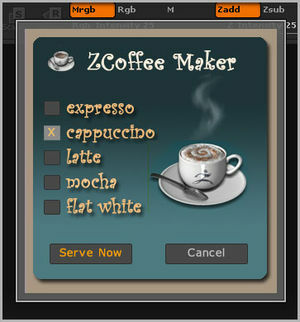 The interface will update after each button press but only exit when the ‘proceed’ or ‘cancel’ button is pressed.